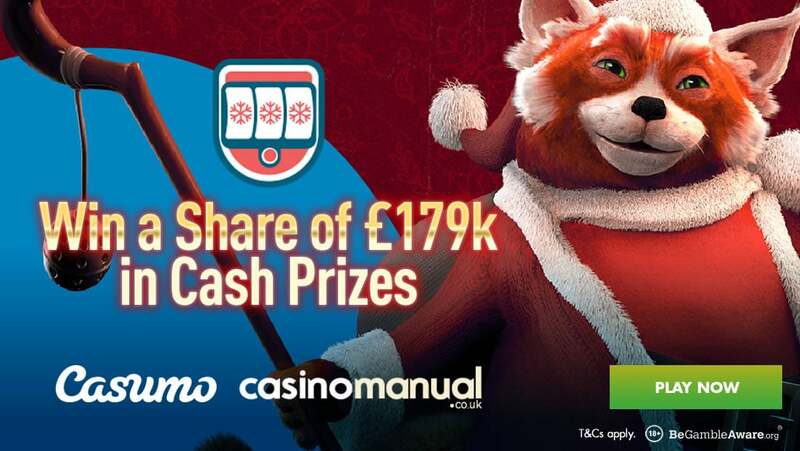 Casumo Casino are running a Winter Games 2018 campaign where there are lots of promotions going on – The Big Giveaway is rewarding customers with a total of £179,000 in cash throughout December. The Big Giveaway promotion runs until the 23rd of December (2018) – with 3 weekly prize draws, you need to play £20 or more across the eligible video slots in a single day to get 1 entry ticket to that specific week’s prize draw. There’s up to 50 prize draw tickets per day to be earned – the more you play, the higher your chances. 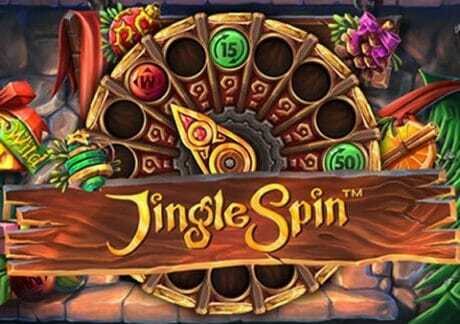 When it comes to the eligible/qualifying video slots, they all come from Net Entertainment and include Fruit Shop Christmas Edition, Flowers Christmas Edition, Secrets of Christmas, The Legend of Shangri-La: Cluster Pays, Berryburst and the newest arrival, Jungle Spin. Of the qualifying video slots, I would definitely opt for Jingle Spin – recently released, this NetEnt-powered title has 5 reels and 20 paylines. Look for baubles appearing above the reel set – when a wild lands on a reel and there’s a bauble above it, you will trigger the corresponding bonus feature. The features will give you cash bonuses, spreading wilds, free spins or a surprise (any 1 of the other 3). The best is the Free Spins feature where you can begin with up to 50 free spins. During the feature, baubles can appear to give you additional free spins, spreading wilds and cash prizes. Not played at Casumo Casino yet? Well, with over 1,000 video slots to choose from, you have games from NetEnt, IGT, Novomatic, Microgaming, NextGen Gaming, Quickspin, Yggdrasil Gaming, Play ‘N Go and many, many others. They have all the latest titles including Play ‘N Go’s Banana Rock, Blueprint Gaming’s Primal MegaWays and NetEnt’s Vikings. They also offer you exclusive content like Blueprint Gaming’s Grizzly Gold, Thunderkick’s Rocket Fellas Inc and Quickspin’s Ivan and the Immortal King. Sign up and begin with 20 no deposit Starburst free spins – on your first deposit, you’ll get a 100% match bonus up to £300 (i.e. deposit £300, get a £300 bonus).